Blocked drains are a challenge in households around the world. But there’s no need to panic because in many situations you can fix those drains yourself without having to resort to the services of professional drain blockers. Kitchen drains are notorious for getting clogged with most households experiencing a kitchen drain block once every few months. But you can unblock a kitchen drain if you don’t mind getting dirty, and a bit smelly. Whether it’s hair in the bathtub or food in the kitchen sink, nobody likes dealing with clogged drains. But, removing a clog doesn’t have to be difficult. Most of the time you can remove a clog with nothing more than a plunger. Some clogs can be stubborn and may require the use of a drain snake. In rare cases, you may have to remove the drain mechanism entirely and clean the pipes. Majority of the times, the primary cause of why drains are blocked is due to small remains of vegetable waste. Or sometimes, it can be due to FOG (fat, oil and grease) flowing down the sink via the strainer. Mainly when vegetable waste flows down the sink along with the oil and grease, it gets stuck on the wall of the pipelines. When this continues for a while resulting in many layers of waste being deposited, drains are blocked. Foul smell is often one of the biggest bi-products of this blockage which further ruins the entire atmosphere around the sink. Thankfully, there are a couple of DIY (DO-IT-YOURSELF) tips and home tricks that you can use to clean your sink. 1. Vinegar & Baking Soda Solution – This is one of the simplest and the most effective to clear blocked drains. First you need to take a bowl of vinegar and add to it, two to three tablespoons of baking soda. After that add two glasses of water to the solution and stir it patiently. Then you need to clean the sink wall and pour the solution in the sink. The concentrated solution of water, vinegar and baking soda should remove the dirt from the pipelines. 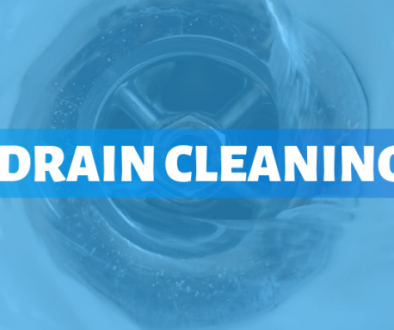 You can also add few drops of lemon to avoid the foul smell during the entire drain cleaning process. 2. Power Washer – A power washer can be used to blast through the blockage. However, this won’t work if the blockage is strong and located too deep. 3. Hands – You can use your hands shielded by rubber gloves to clear out the clogged gunk, which may not be the fanciest option available but remains the most effecting way nonetheless. After you are done clearing the clogged gunk with your hands, you can use a power washer to jet the debris away. 4. Boiling Water – The fat from your kitchen sink tends to congeal and as a result, causes drain blockage. Pouring a small bucket full of boiling hot water into the hole can melt away this blockage. 5. Caustic Soda – Caustic Soda is the last option available in D-I-Y drain cleaning and if drains are blocked and if even this doesn’t work, then you need to call the professional drain unblocking services, to clear the outside drain. If you have done your job to the ultimate efficiency but if drains are blocked still, then you need to hire professional drain unblocking services. In many cases, the blockage could be much more serious, in which case it is highly recommended that you don’t ‘do-it-yourself” and call a professional drain services company to handle your more serious drain unblocking for you as you do not want to cause damage or make the problem worse in any other way. 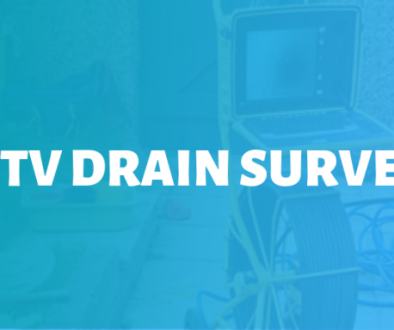 What Are The Key Advantages of CCTV Drain Surveys?